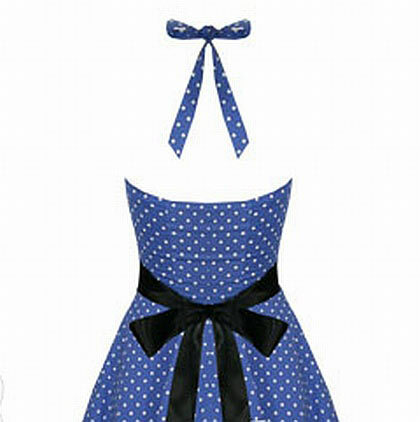 H&R London's blue swing dresss crafted from lightweight, stretchy cotton in a kitsch polka dot print. It has a flattering, feminine cut with a ribbon belt that nips in at the waist and the halter neck straps offer support to the bustline. 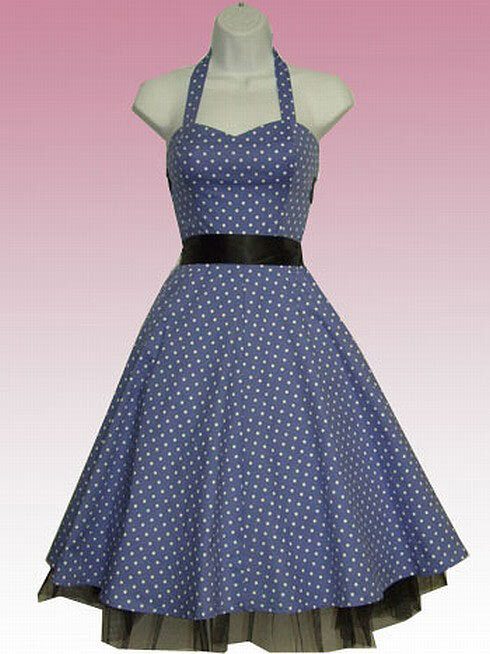 The swing style skirt flares over a built-in tulle hemmed underskirt. Add an additional petticoat for added fullness!The bodice features a pretty sweetheart neckline and a concealed zip fastening to the side, as well as an elasticed back for ease of fit.